The word “clafoutis” used to intimidate me. It sounded so fancy and French, but it’s actually quite easy to make. Cherries are the classic fruit to make this dessert with, but I love it with spring apricots. This gluten-free recipe makes a wonderful dessert, but it’s also delicious for breakfast or brunch. Preheat the oven to 325°F (163°C). Butter a 9-inch pie dish and sprinkle with 1 teaspoon of the sugar. Place the apricots, cut side down, in a shallow bowl and pour the liqueur and almond extract over top. Set aside. 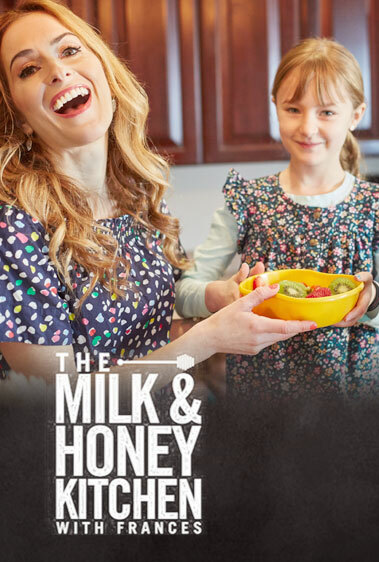 In a medium bowl, whisk together the remaining ⅓ cup sugar and the eggs. Fold in the flour and salt, and then the melted butter, milk, and vanilla. Arrange the apricots in a circular pattern in the prepared pie dish and then gently pour the batter over the fruit pieces. 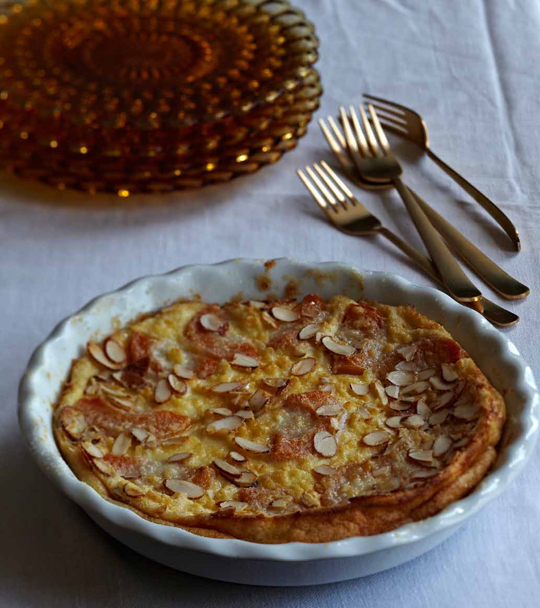 Sprinkle the almonds evenly on top and bake for 50 to 55 minutes, until lightly golden and set. Cut into 6 wedges and serve.